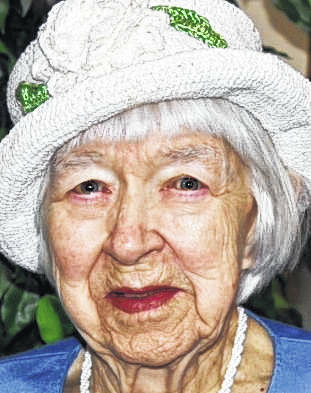 LAFAYETTE — Doris Kruger is celebrating her 95th birthday with an open house from 1:30-4:30 p.m. April 7 at Harrod Fire Department. A card shower would be appreciated at 4180 Pevee Road, Bluffton OH 45817. She was born April 5, 1923, in Forest, to Harry and Neva Young. On July 17, 1948, she married Robert Kruger, who died March 29, 2014. She has four children, Greg (Peg) Kruger, of Lafayette, Deb Kruger, of Lafayette, Raymond Kruger, of Lafayette, and Tess (Stanley) Spencer, of Bluffton. She has 13 grandchildren and 23 great-grandchildren. A grandchild is deceased. She worked at Westinghouse Corp. She is an expert seamstress and enjoys needlework. She loved vegetable and flower gardening.